The G2S Group have a wealth of experience installing double glazing products such as windows, doors, conservatories and more across the South of England. Since 1999, we’ve installed home improvements across Wiltshire, Oxfordshire, Somerset, Dorset, Hampshire, Berkshire, Gloucestershire and South Wales – growing our reputation as the home improvement specialists. Our team consists of dedicated surveyors, sales advisors, support staff and fitters, so you can be sure we’ll manage your installation from the first contact, right through to aftercare services. Our fitters all have at least 15 years’ experience, giving you peace of mind that with G2S you’re in safe hands. We can supply you with a huge range of glazing products, available in styles, colours and extras to suit any home. Whether you want a new energy efficient door for your modern home, or heritage windows for your period property, we have the right products for you. We have a network of showrooms ideally placed across the South and South Wales. Find our team of design and installation experts in Swindon, Gloucester, Salisbury and Bridgend to find inspiration for your uPVC or aluminium installation. 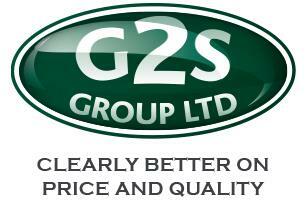 WHY CHOOSE THE G2S GROUP? 24-hour manned telephone support lines – we’ll even come out if you lock yourself out! Our FENSA registration ensures that all windows, doors, conservatories and other glazed home improvements from G2S conform to current Building Regulations. The G2S group are regulated by the Financial Conduct Authority, ensuring that you can trust we have your best interests at heart, and are run with financial integrity.